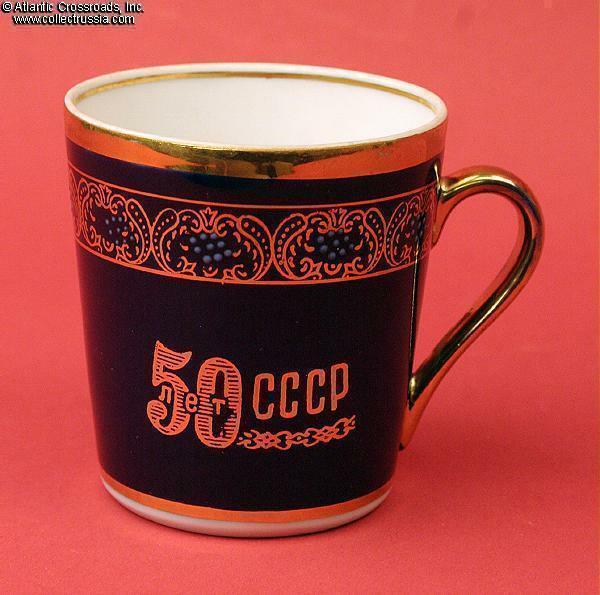 50th Anniversary of the USSR porcelain demitasse cup in cobalt blue and gold, Dovbysh Porcelain Factory, 1972. 3 1/8" (8cm) tall x 2 ¾ (7.3cm) diameter, , nine groups of raised medium blue dots spaced around the rim and centered in the gold tracery give the cup extra visual appeal. 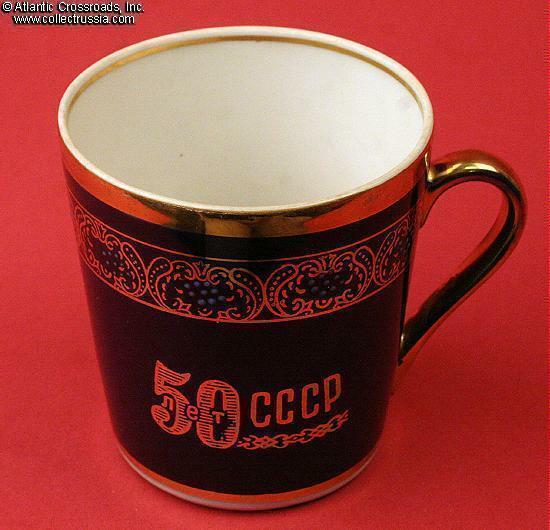 Large "50 years USSR" in gold. 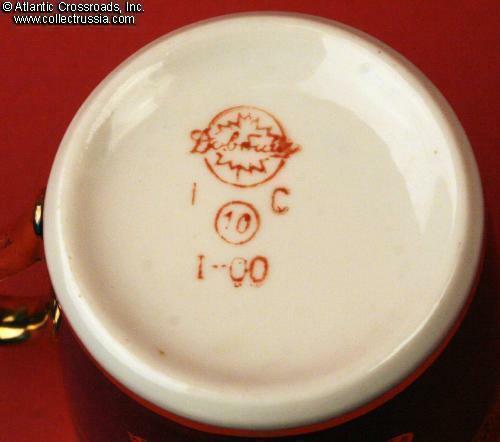 "1 C" code on the bottom indicates that the cup was an example of the factory's first quality production. Very good to excellent condition. The top rim, like those on many Soviet tea cups, is not glazed and has a matte finish - a light scrubbing with a good detergent will probably brighten it. 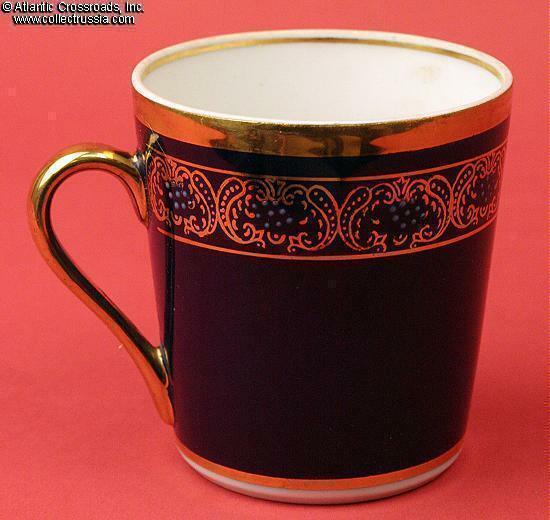 Probably due to frequent use, the handle has mellowed to a somewhat darker gold color than elsewhere on the cup.